iVascular S.L.U., is pleased to announce that the LUMINOR 18 Drug Eluting Balloon, has received CE (Conformité Européenne) Mark approval. 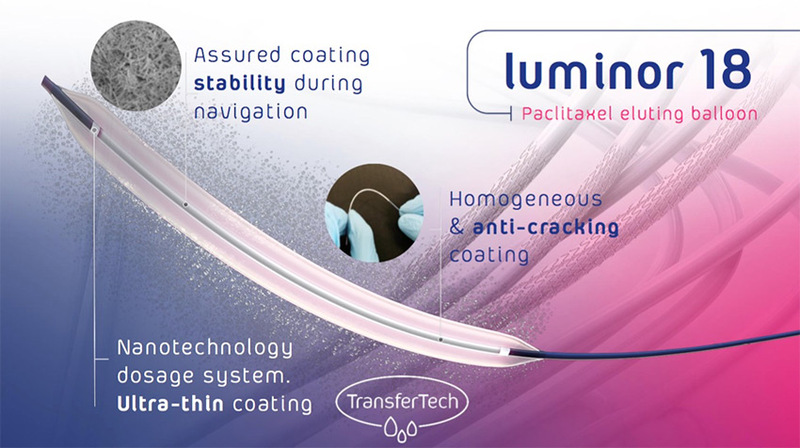 LUMINOR 18, which is 0.018 Guide Wire compatible, is added to the existing LUMINOR range (Luminor14 and Luminor35), to offer the only complete drug eluting balloon portfolio to physicians performing lower limb angioplasty. Combining extra low profile with effective proven drug eluting coating technology, it will contribute to procedure cost reduction. With this CE Mark approval, iVascular S.L.U. is preparing LUMINOR 18 to be commercially available in all Europe and other markets where CE Mark approval can expedite the registration process. iVascular is a fast growing company based in Barcelona that has developed exclusive technologies in a vertically integrated project to innovate and produce coronary and endovascular devices from basic raw materials to the final device or implant, including DCB, DES, SE nitinol stents, CoCr BMS, thrombus extractors and angioplasty balloons.